This is CME on ReachMD! This activity Role of JAK-STAT Pathway in Rheumatoid Arthritis Disease Progression is provided in partnership with Prova Education. An ongoing mission in rheumatology is to better understand the complex mechanisms behind the inflammatory process responsible for joint destruction in rheumatoid arthritis, or RA, to guide new treatment approaches. One such mediator called the JAK-STAT pathway has become an important therapeutic target because of its known role in RA disease progression, and it’s this pathway that we’re going to focus on today. This is CME on ReachMD, and I’m Dr. Matt Birnholz. Joining me is Dr. Alan Epstein, Clinical Professor of Medicine at the University of Pennsylvania School of Medicine. Dr. Epstein, welcome to the program. Thanks very much, Matt. It’s a pleasure to be here. It’s great to have you with us. So, to start off our discussion, how has our knowledge about the role of immune and inflammatory mediators in rheumatoid arthritis translated into better therapies so far? 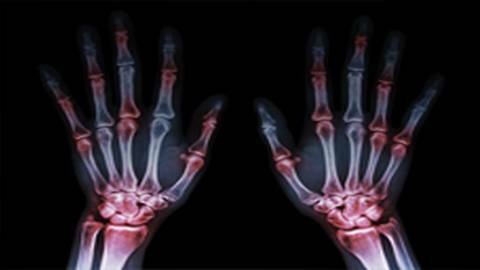 So, prior to 1998, our treatments for rheumatoid arthritis were really discovered fortuitously. Even methotrexate, our gold standard for so many years, was discovered in this way. During the 1970s, our dermatology colleagues were using this medication to treat psoriasis. 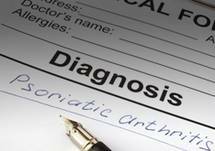 They observed improvement in the joints of patients with psoriatic arthritis. During the early 1980’s, because we had so few effective treatment options for rheumatoid arthritis, studies were begun to look at the efficacy of methotrexate in rheumatoid arthritis. The drug was FDA approved in the mid 1980’s for the treatment of our patients with RA. Now, with an improved understanding of the immunopathogenesis of rheumatoid arthritis, we’ve developed a targeted approach to therapy. Over the past 18 years, our targets have been extracellular cytokines, such as TNF, IL-6 and IL-1. As you know, we have also targeted T-cell activation, and we’ve also used B-cell depletion as additional therapeutic options. More recently we have begun to focus on intracellular signaling as a therapeutic target in rheumatoid arthritis. This treatment can be accomplished with small molecule medications rather than large biologic proteins. One of the signaling pathways being targeted in this fashion is the JAK-STAT pathway, to which you referred earlier. That’s excellent, Dr. Epstein. I appreciate the rundown for our audience. Perhaps, then, you can walk us through the other major pathways that are implicated in disease progression for rheumatoid arthritis. Many people think of rheumatoid arthritis as a T-cell-driven disease. However, it should be remembered, quite importantly, that the entire integrated immune system is involved in the pathogenesis of rheumatoid arthritis. T-cells are certainly very important in driving this disease. However, we should remember that in the mid-2000s, a group of investigators in England demonstrated that B-cell depletion could lead to the improvement in joints in patients with rheumatoid arthritis. Obviously, this demonstrates the importance of B-cells in the pathogenesis of the disease. One must also remember that the innate immune system is needed to activate the adaptive immune response. Ultimately, the disease is driven by a group of proinflammatory cytokines. The first of these to be targeted therapeutically was TNF. This cytokine is important to driving both the inflammatory and the destructive aspects of rheumatoid arthritis. More recent therapeutic agents have targeted interleukin-6, or more precisely, its receptor. Interleukin-6 levels correlate with both disease activity and radiographic progression. IL-6 is a key cytokine in driving the inflammatory aspects of the disease, the destructive aspects of the disease, and also the systemic aspects of rheumatoid arthritis, because it should be remembered that RA is actually a systemic disease; though, obviously, its most prominent phenotype is its joint involvement. So far we’ve been discussing targeting extracellular cytokines or their receptors. It must be remembered that a cytokine binds to its receptor on the surface of the cell, but it must then be able to transmit a signal to the nucleus. This is accomplished using a variety of intracellular signaling pathways. And it’s on that subject of intracellular pathways that I would love to focus the next part of our discussion. Perhaps we can look at the JAK-STAT pathway in more detail now. Can you give us an overview of how it functions and its role in the inflammatory cascade? Sure. So, the question really is: How does a cell recognize an external stimulus and then react to it? Each cell has many different receptors on its surface—for example, TNF receptors, interleukin-6 receptors, interleukin-17 receptors, etc. In fact, there are 7 receptor superfamilies on the surface of any individual cell. At the surface of the cell, a cytokine binds to its receptor. A signal is transmitted across the plasma membrane. Once inside the cell, the signal is transmitted along intracellular signaling pathways. These pathways are composed of a series of proteins which interact with each other. This ultimately triggers a signal in the nucleus, which leads to transcription of, for example, proinflammatory cytokines. GNS kinases are referred to as non-receptor tyrosine kinases. This means that they are associated with a receptor but not physically attached. GNS kinases are actually phosphotransferases, meaning that they transfer a phosphate from ATP to other proteins. When we think about protein biology, when you add a phosphate, that is basically a turn on switch. When you remove the phosphate with a phosphatase, that basically is a turn off switch. So, on the GNS kinase molecule, there’s a binding pocket where transfer of a phosphate occurs from ATP. When a cytokine binds to its receptor on the surface of the cell, there’s a conformational change in the receptor. This activates the associated pair of GNS kinase molecules. They then phosphorylate each other. After this happens, the GNS kinases phosphorylate the tail of the receptor. The pattern of that phosphorylation of the tail dictates specifically which STAT molecule is going to bind. So, once the tail is phosphorylated, the STAT molecules are able to bind or dock on the tail. The JAKs, in turn, then phosphorylate the STATs. When the STATs are phosphorylated, they are able to drop off the tail. They then dimerize and translocate to the nucleus where they drive transcription of more proinflammatory molecules. There are, in fact, 4 members of the GNS kinase family of protein kinases named JAK-1, JAK-2, JAK-3 and TYK-2. The JAK-STAT pathway is utilized by many cytokines to signal the nucleus. Many of these cytokines are important in driving rheumatoid arthritis. Different cytokines use different pairs of JAKs and different pairs of STATs for their signaling. For those just tuning in, you’re listening to CME on ReachMD. I’m Dr. Matt Birnholz, and I’m joined by Dr. Alan Epstein to discuss the role of the JAK-STAT pathway in rheumatoid arthritis disease progression. So, Dr. Epstein, you’ve given us a great understanding of this cascade of events regulated by JAK and STAT molecules. Why don’t we then turn to the pharmacology updates? Earlier, you gave us a sense that there would be agents that we could use to target this pathway. Can you tell us a little bit more about them? Sure. So, the JAK inhibitors, which are also referred to as Jakinibs, are small molecules—so they are pills—just to distinguish them from the large biologic proteins that we’ve used over the past 15 to 18 years in the treatment of rheumatoid arthritis. So, again, these are small molecules. They are able to enter the cell and compete with ATP to that binding site on the GNS kinase molecule that I referred to earlier. I think it’s critically important to understand that JAK inhibition by this mechanism is transient and reversible. Therefore, the signaling is being modulated without being completely inhibited. In inflammatory diseases, such as rheumatoid arthritis, multiple proinflammatory cytokines signal through the JAK-STAT pathway. Disease manifestations related to these cytokines can be modulated by JAK-STAT modulation. The 2 medications that we have available at this time that work by this mechanism are tofacitinib and baricitinib. And both of these agents have been approved by the FDA. Isn’t that right? That’s correct. Both were approved. We’ve had tofacitinib available to us for the past several years, initially in a twice-a-day formulation and more recently in an extended-release, once-a-day formulation. Baricitinib is new for us, and it actually was approved earlier in 2018. And as I understand it, they have slightly different mechanisms of action or different affinities. Is that right? That’s certainly correct. In fact, there are multiple other Jakinibs in the pipeline which work to varying extents targeting JAK-1, JAK-2, JAK-3 or TYK-2, but I think the important point for the audience to understand is that we do not yet know if targeting specific JAKs will result either in any improvement in efficacy or any improvement in safety. Time will tell. But on that subject of other targeted therapies in the pipeline, is it a robust research and development arena right now, or is it relatively limited? No, this is really a remarkably robust arena right now. Not only are we looking at drugs that work by different mechanisms of action… So, as you alluded to earlier, the first drugs to enter the rheumatology arena beginning back in 1999 were the TNF inhibitors. They were followed in the mid 2000s, 2006 or so, 2005, 2006, by drugs that block T-cell activation as well as a drug that blocks, or should I say depletes, B-cells. And then more recently, in the late 2000s, we had drugs that block the interleukin-6 receptor, and then again more recently are these small molecule medications, the so-called Jakinibs, or JAK-STAT inhibitors. But as we mentioned a few minutes ago, we’re still looking at more JAK-STAT inhibitors in our pipeline. Whether that will affect efficacy of safety, as we mentioned a few moments ago, we do not yet know. We also need to remember that the whole biosimilar development program is ongoing, so we’re going to see drugs that work by similar mechanisms, but they are, in fact, biosimilars entering our therapeutic armamentarium. Well, Dr. Epstein, before we conclude, I want to open the floor up to you and see if there are any other takeaway points that you’d like to share with our audience today on this important subject. Sure. I guess by way of summary, I think it’s important to keep in mind that we’ve really come a very long way, even over the course of my career. When I started practicing as a rheumatologist, we were using medication that, as I mentioned earlier, were really discovered fortuitously, but now, due to our improved understanding of the immunopathogenesis of rheumatoid arthritis, we’ve developed targeted therapies. We are now truly able to talk about remission of this potentially devastating disease. Well, Dr. Epstein, I have to say it’s great to see the innovations that come from a better understanding of disease pathways, such as the JAK-STAT pathway that you’ve talked to us about today. I’m definitely looking forward to checking back in with you down the road for more updates. Dr. Epstein, great having you on the program. Thanks again for joining. It was a pleasure joining you. It’s a really exciting time to be a rheumatologist. This CME activity was provided in partnership with Prova Education. A better understanding of RA immunopathogenesis has lead to a targeted approach to therapy. Learn more about the role of the JAK-STAT pathway! An ongoing mission in rheumatology is to better understand the complex mechanisms behind the inflammatory process responsible for the joint destruction in rheumatoid arthritis, or RA, to guide new treatment approaches. One such mediator called the JAK-STAT pathway has become an important therapeutic target because of its known role in RA disease progression. Dr. Matt Birnholz is joined by Dr. Alan Epstein, Clinical Professor of Medicine at the University of Pennsylvania School of Medicine, to discuss the JAK-STAT pathway in more detail. Alan Epstein, MD has disclosed Commercial Interest Speakers Bureau from AbbVie, Amgen, BMS, Celgene, Genentech, Janssen, Lilly, Merck, Novartis, Pfizer, Quest, and Sanofi-Regeneron. Samantha Lare has nothing to disclose. Richard S. Pope, MPAS, PA-C has nothing to disclose. This activity is designed to meet the educational needs of rheumatologists, nurses, nurse practitioners, physician assistants and pharmacists who are involved in the management of patient with rheumatoid arthritis. No commercial support has been provided for this activity.